Orange, in all its beauteous hues! This is my friend’s daughter, N, and she’s addicted to Captain Jack Sparrow, just like me! I never realized how much I loved orange until just now. Beautiful shots – I love the sunset and the tiger lilly. And love the orange collage. Is that a Clementine or a Mandarin? I’ll just have to keep coming by your site for inspiration. Orange needs people like you with such an amazing eye for color, though I think N can do it without you Gorgeousness. Very nice, but I have come to expect that from you. I love all the orange hues, well done. What a cute “N”. Wow! Each of those pics are just gorgeous! I am so in love with your tattoo. woohoo, ORANGE TAT on the foot! 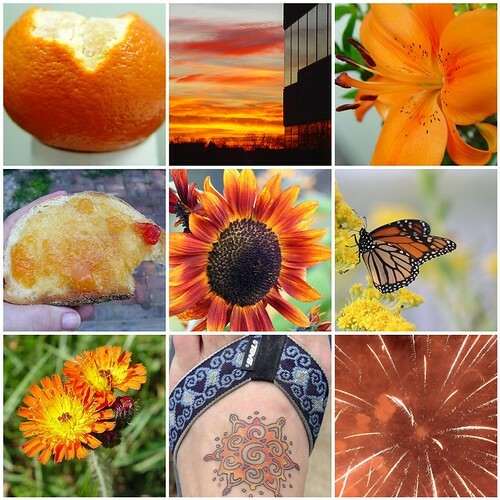 WOW – great photos…So many different shades of orange! COOL! You’ve got some really great examples of my least favorite color. It’s nice to be reminded that there are more than one shade. OMG I love your picks for orange!!!! Amazing! And “N” is adorable!!!!! 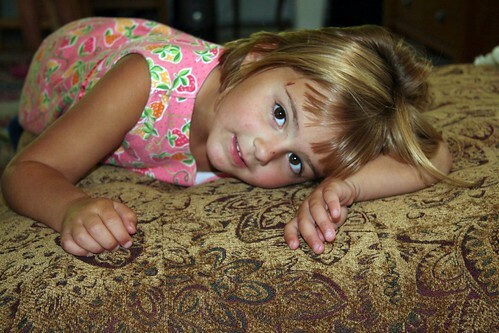 Just want to pinch her cheeks! I love the orange collage! The sunset (or is it rise?) and the beautiful sunflower. I really like the tattoo too. Yours? brilliant shots of orange … could one possibly not smile at those photo’s? … and N is one smart cookie, already!! all beautiful summery shots I love them! I don’t think I ever realized how much orange was in your tatoo on your foot. Love love love that sunset! You & N both have good tastes! Is that your orange tat? It’s lovely. All of your pictures are so very vibrant, but Oh! that sunset is gorgeous! Love the pics! Orange is one of my favorite colors. Betcha you didn’t know that? !